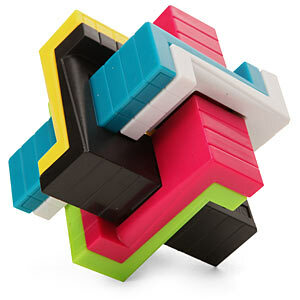 The Zig Zag Knot Puzzle is elegant and cunning. It looks like it would be straightforward and easy to solve, but it’s anything but easy. Slide each piece in the correct 37-move sequence to take the Knot apart. Every move will untangle a bit of the knot, but there’s only one right answer!